Go on This Year’s Spring Shopping without a Payday Loan! Save money this spring on your spring shopping. Cashfloat have put together some creative and helpful ways to save this year! Spring is in the air and there is no spring hobby like…spring cleaning? No, this article is not about spring cleaning. It’s about what we treat ourselves to when we finish spring cleaning! That’s right, Spring Shopping! There is nothing like shopping while the Sun is out in all the brightly designed shops. But do you need spend a lot of money while spring shopping? First of all, only go shopping when you really need to. Avoid using shopping as a means to cheer you up as it is not sustainable. Firstly, the effects do not last very long. Secondly, you might just run out of money which will make you feel even worse! Another tip before you go shopping is to make sure you know how much you have to spend. This way, you will be careful not to overspend. Ask yourself: How much can I spend without using my overdraft? 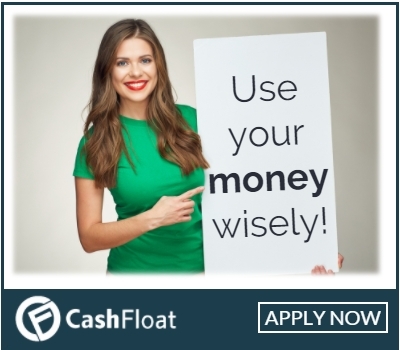 How much can I use without having to rely on a payday loan till payday? 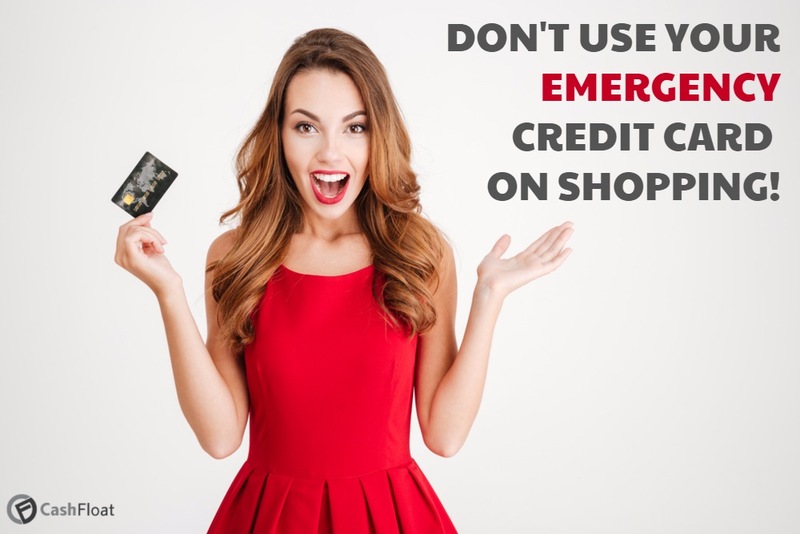 Will I need to use the emergency credit card? Once you have something you need to buy and know how much cash you can spend to stay within your budget, you can set off! Here are a few cool tips for this year’s spring shopping that will help you save £££ in a smart and organised way. If you haven’t tried this yet, try it now! It takes a bit of time to get used to it, but once you do, it’s well worth it! When you go shopping spring time, check out the sale section. There, you are likely to find good quality winter items at a very reduced price. For example, you could buy £129 winter boots for just £60! Next winter, when you need boots, you will have saved £69 on a great pair of boots. Even better, at the end of the summer, you can buy lovely summer clothes at a greatly reduced price which you will have fresh and new for the next summer! Not shopping according to the seasons can help you save so much money when shopping! Try it! Shopping online has its perks. First of all, there is no queueing or grabbing off the shelves. You can come online at the beginning of a sale season and just buy what you want without all the hustle and bustle. Also, besides having the items delivered to your doorstep, there are often sales that are exclusively online. This means that the shop will not even have a sale in-store, but might have one online. Moreover, if you sign up to online shops with your email, they will send you offers straight to your inbox. Some shops will even put on a sale only for customers subscribed to their email lists. However, don’t turn online shopping into a habit as this can become addictive. Since browsing online from the comfort of your own home is so easy, it can be easy to get swept away in the moment. As an online payday lender, we are very aware of this issue. Because applying for a payday loan online can be so easy, people may abuse the service and take one when they don’t need it. Don’t ever shop online when you don’t need! This is wasting money, not saving money. Instead, only go shopping when you need something. You might be embarrassed to go shopping at your local charity shop. After all, no one really likes to be on the receiving end of charity. But have you ever tried shopping at charity shops located in very expensive areas? Not only will the merchandise be of higher quality, but you can save money on designer clothing and accessories. It happens all the time. Someone buys something that is the wrong size, or receives an unwanted gift. Under the circumstances, they decide it is much easier for them to sell the item online than anything else. That’s why you can often find expensive and high-quality products on shops such as Amazon and eBay for a very good price if you look well enough. You might need to auction for it, but you will be saving in the long run! Don’t forget to always be aware. If you are not sure of a seller, check the seller reviews. Always make sure you buy from an experienced seller with lots of good reviews. These websites can also help you earn money in this way. If you have products that you no longer want or require, you can sell them online and make money, rather than throw it in the bin. Be in control of your family’s finances. Which Professions most rely on Payday Loans? Get the pension you deserve. Enjoy a golden retirement. Will you save on spring shopping this year? These are just some fantastic ways we have found that you can save money on spring shopping. Try some of them out and you might find that you still have a spring in your step after your shopping spree this year. No need to come home feeling drained and penniless anymore! You certainly shouldn’t be needing payday loans help for this year’s spring shop! Are Short Term and Payday Finance Loans Alike?